At times life can feel very challenging and we can struggle to deal with the emotions that these challenges present. Some people retreat into themselves, sliding into depression or use props such as alcohol, drugs or gambling in order to function. 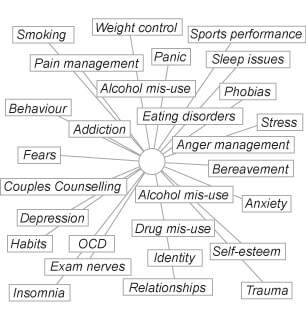 Others develop controlling habits around eating, hair pulling or compulsive routines in order to try and stay in control and for many the problems manifest themselves through anger, insomnia or isolation. If you are struggling to cope with life then Psychotherapy/Counselling could help you.